Michael Walsh studied singing and organ at the RSCM and Trinity College of Music where he was awarded prizes for choir training, conducting and research. His main performing interest has always been in sacred music and, after eighteen years as Head of Music at a large comprehensive school and nearly thirty years as a Lay Clerk in Chichester and Portsmouth Cathedral Choirs, he now divides his time between working as a freelance musician and as the owner of The Better Book Company, a publishing company based in Chichester. 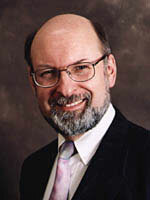 He was associated with the St. Richard Singers of Chichester for over 40 years (23 as Conductor), and currently sings with the chamber choir Chichester Voices, to whom he is chairman and composer-in-residence. He was Artistic Director and Conductor of the Chichester Symphony Orchestra and for almost 35 years was Musical Director of the Chichester Amateur Operatic Society. In 2016 he was appointed Principal of the National College of Music and Arts, London. He is the General Secretary of the Guild of Church Musicians and has been Editor of their magazine Laudate for over 60 issues. Michael is an Honorary Fellow of St Paul's College, Sydney and was elected an Honorary Academician of the Pontificia Accademía Tiberina, Rome in 2016.